Since we are now living in the lovely North East, I've been having a good old google to find 'Romantic getaways in the North East of England'! "Somewhere for me and Mr.B to go child free"! 'We have fifteen self catering holiday cottages in Northumberland, all based on our beautiful farm near Alnwick and Morpeth, with acres of woodland and marvellous views to the Northumberland coast and Cheviot Hills. Our luxury holiday cottages are set in stunning landscaped gardens in the middle of the estate, all within a short walk from each other and the Spa. 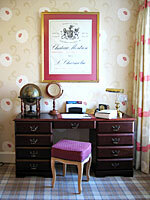 All are of an exceptional standard of luxury and graded either very top-end 4 Stars or 5 Stars. Three cottages have M2 Mobility Grading and many others are on one level. Beacon Hill's superb self catering holiday cottages offer peace, tranquillity, comfort and warmth, allied with superb leisure facilities, all set amid the seclusion of one of Northumberland's most beautiful farms. 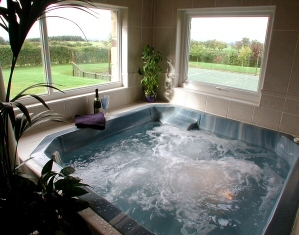 Experience the very best self catering cottages Northumberland has to offer'. 'This attractive Georgian house, once owned by the third Lord Derwentwater, now offers today's visitor a rare retreat for true relaxation, along with a central point for venturing through the delights of North Northumberland and the Scottish Borders'. 'Breakfast and dinner are served in the beautiful and romantic dining room where food is presented with the utmost care. Our cellar is stocked with a huge choice of reasonably priced fine wines'. 'All public rooms and bedrooms are non-smoking. Smoking is only permitted in the 'Puffin' - a separate building located near the entrance'. 'Built in 1906, overlooking the Leven Valley on the edge of the Yorkshire Moors, Crathorne Hall Hotel in North Yorkshire is at once grand and stately, warm and welcoming. Owned by the Dugdale family until 1977, Crathorne Hall has played host to politicians, courted royalty and delighted socialites over the decades'. 'Crathorne Hall Hotel in North Yorkshire is set in 15 acres of private grounds and has been awarded the prestigious accolade of 4 Red Stars, being among the top 200 hotels in the UK and Ireland. The hotel has 37 bedrooms, all of which have recently been refurbished and offer the likes of LCD televisions, complimentary internet access and luxury toiletries. There are also a number of feature bedrooms, offering large open spaces, luxurious bathrooms and some with balconies'. "There you have it, three of my favourite romantic getaways in the North East of England"